All of our flags are proudly manufacturered in the USA, using the highest quality American-made materials available. Click the link below to learn more about our flags and how to respect and display the American Flag. Made with SolarMax Technology® and designed specifically for active outdoor use with high resistance to UV fading and world-class tensile and tear strength. The exact same flag as the Endura-Nylon™ but with 4 rows of extra vertical zig-zag stitching on the fly end plus extra zig-zag stitching on the fly end corners. Made with the world's most superior flag fabric, Everlast™ 300+ to protect against UV rays, prevent bleeding dyes and increase the life of a flag. 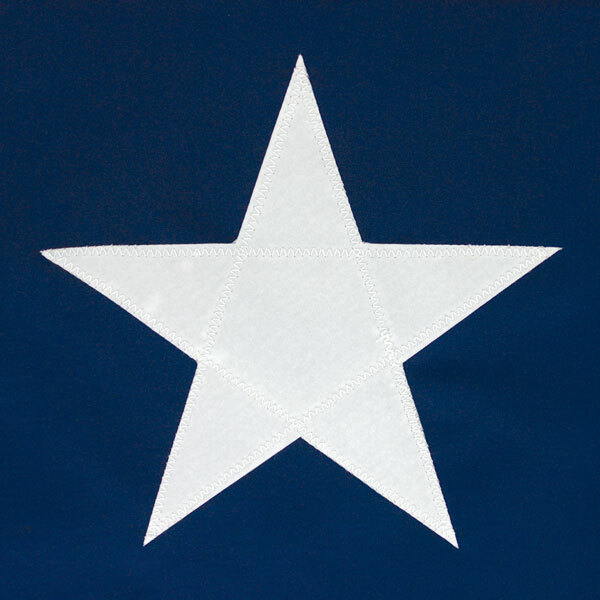 Embroidered white stars are standard on all flags up through size 10'x15'. 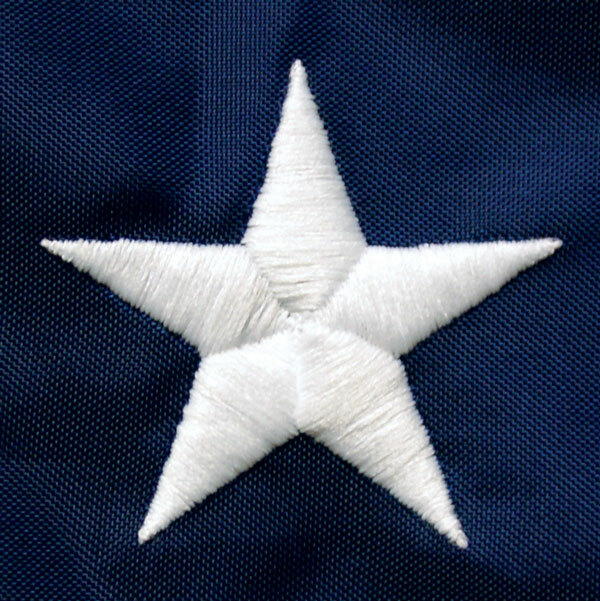 Flags 10'x19' and larger have opaque nylon white stars with zig-zag stitching.